Dish’s Sling TV streaming video service is off to a solid start, with more than 100,000 subscribers on board after one month. Sling TV is $20 per month service that streams live TV from a handful of cable channels, including ESPN, CNN, and AMC. The basic bundle includes 16 channels, and subscribers can tack on $5 per month add-on bundles around themes such as sports, news and info, and movies. There’s no DVR functionality, but some channels offer on-demand content and allow users to watch several days of past programming. To put the 100,000 subscriber number in context, consider that roughly 100 million homes subscribe to pay TV services in the United States. Sling TV is just a sliver of the overall market, and it likely got a boost by offering big discounts on Fire TV and Roku hardware for new subscribers. Still, it certainly looks like the service has momentum, with new channels and bundles coming online after the initial launch. Just last week, Sling added AFC and IFC to the core bundle, and created a new “Hollywood” add-on with movies from Epix and the Sundance Channel. It’s hard to believe new networks would sign on if they didn’t see Sling TV as an opportunity. Why this matters: As the numbers show, Sling TV is arriving at just the right time. Pay TV subscriptions in the United States have stagnated, and more people are giving up cable TV or not signing up to begin with. 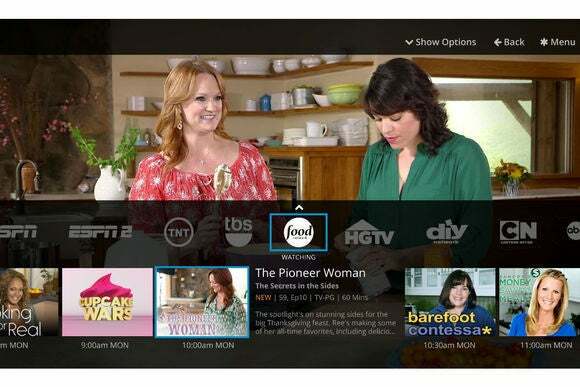 This has sent TV networks in search of new ways to make money, and Sling TV provides both the comfort of a channel bundle and the feel of something new aimed at cord cutters. While Sling TV won’t topple massive cable bundles overnight, it’s already proving that there’s demand for a smaller, cheaper alternative.